Hi! We are Gilli Kuchik and Ran Amitai : ) We are a Tel Aviv based industrial design studio that creates products, things and experiences. We are a full service design studio delivering design strategy, concept development, design for manufacturing, ux and creative problem solving capabilities across multidisciplinary fields and platforms. We tailor our services to meet each of our clients specific needs and strive to create long lasting collaborations and partnerships. During Salone del Mobile 2019, renowned Italian company MAGIS revealed the VELA chair designed by our studio. 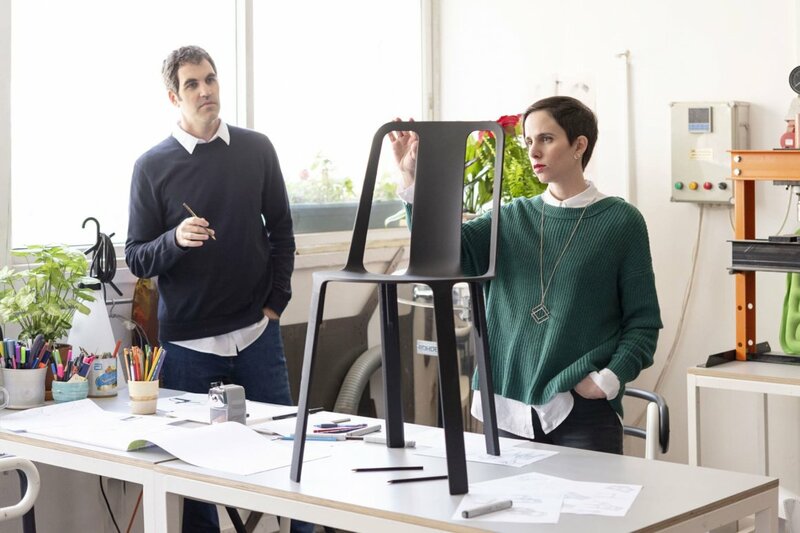 VELA is an infinite stacking, lightweight magnesium chair weighing 2.5 kilos. Interested in discussing a new project? Let’s Talk!